Choosing the right Christmas gift for the people we care about isn’t always an easy task: so many choices, so little time, and a strong desire to find a unique, original gift for the people we love. Christmas gifts for parents are so important! One of the hardest gifts to choose? Definitely the present for Mum, our guiding light, who’s offered us invaluable advice our entire lives. How do you choose the Christmas gift for Mum that will make her truly happy? The right gift for her is undoubtedly something that moves her and is able to express our feelings: here are our suggestions for how to surprise her with jewellery that’s special! What should you get for a new mother? 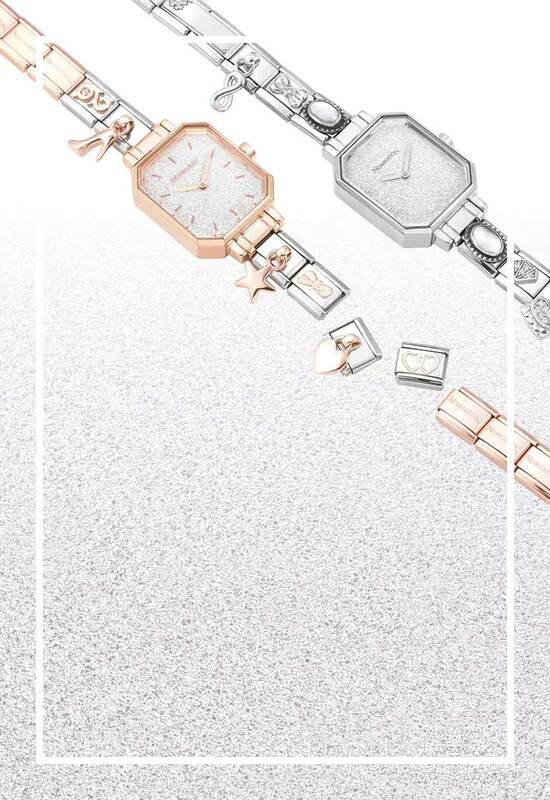 The perfect Christmas gift idea could be personalised jewellery just for her: with the Composable Collection you can build bracelets decorated with symbols, letters and engravings dedicated to life’s most important moments. Each Composable bracelet, Link and Charm is crafted with high-quality materials: stainless steel, yellow and rose gold, sterling silver and sparkling coloured gemstones. 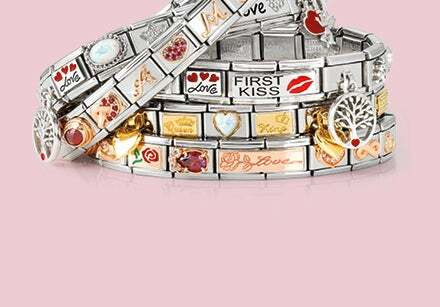 Nomination offers several already composed bracelets which are perfect Christmas presents for new Mums: the one decorated with adorable Charms in pink or light blue enamel with baby’s feet and a heart, the Big Composable that tells the family’s story up until the long awaited birth, and the bracelet with the Double Link dedicated to Mum and the pink or light blue pacifier. 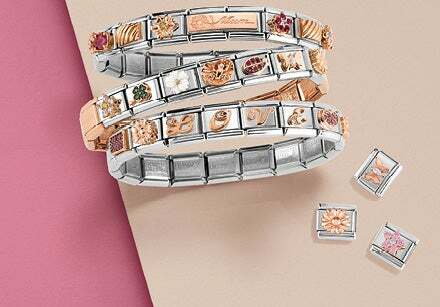 The Wishes Collection was also designed to create wonderful customised bracelets to share the most important moments in our lives. There are many charms in the Wishes Collection you can dedicate to an amazing new mum for Christmas, with symbols representing family and the tenderness of a mother with her child. Let’s not forget that first and foremost Mum is a woman who’s usually very busy, who works, takes care of home and family, and all the rest. Showing her our gratitude with an original gift is the least we can do for a Mum and wife who does so much for us! We’ve got several options of jewellery that’s perfect as Christmas presents for Mums and wiveswho support us each day: jewellery that accentuates her femininity and makes her always feel like the strong, gorgeous woman she is. SeiMia Collection is a stunning and delicate line of jewellery, which offers silver accessories featuring brilliant cubic zirconia stones: create a name or a personalised message with the brilliant letters, and add a special touch with the symbols and pendants featured in the collection. Alternatively, choose the ring from the Bella Moonlight collection, embellished with white or black Swarovski pearls and white crystals, for an elegant piece of jewellery with a contemporary style. Or choose from our Earrings Collection: natural stones and coloured cubic zirconia stones for subtle pieces of jewellery that will enhance any look.